The first signs of oily skin can usually be recognised, in both girls and boys, in adolescence. Having oily skin is genetically conditioned and caused by the improper functioning of the sebaceous glands which produce sebum unevenly and excessively. It is a widely-shared conviction about oily skin that the excessive production of sebum will pass after adolescence and the skin will return to its normal condition. This is certainly possible; however, due to improper care oily skin may become acne-prone skin, from the mildest forms of acne comedonica to purulent inflammatory conditions that require a combination of care and pharmacological treatments. The golden rule in oily and acne-prone skin care is to keep the skin’s moisture level balanced, prevent its excessive dehydration, use care products which restore the skin’s normal pH level, and exfoliate the epidermis under the professional control of a dermatologist or cosmetologist. Do you have a feeling that your skin constantly shines? 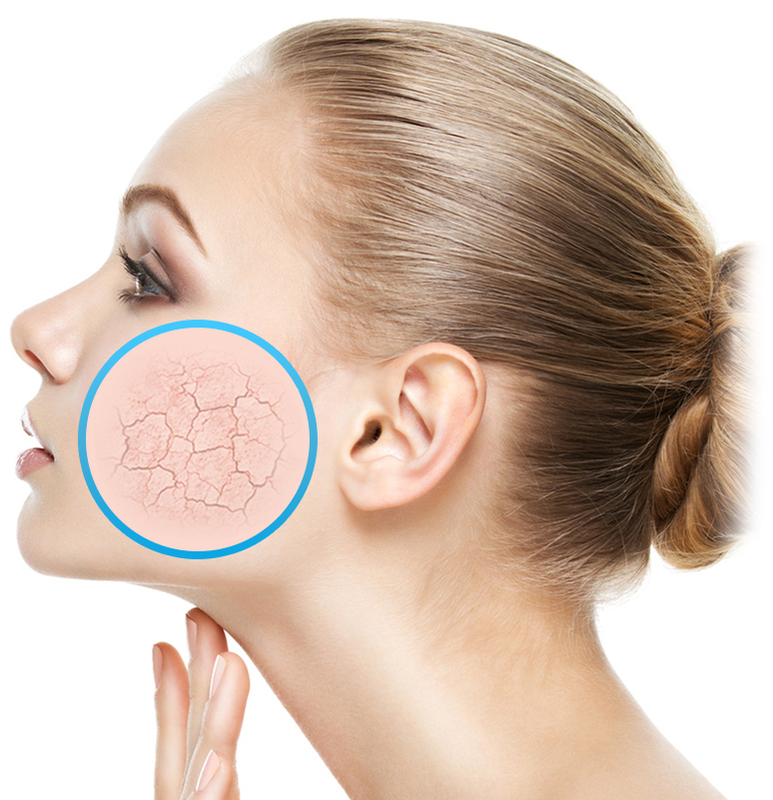 Does your skin react well to contact with water and external factors? Does it react badly to internal factors such as stress or an improper diet? Does the skin look better during warmer months? If your answers are positive, you may have oily skin. Remember that oily skin may become acne-prone skin due to improper care!